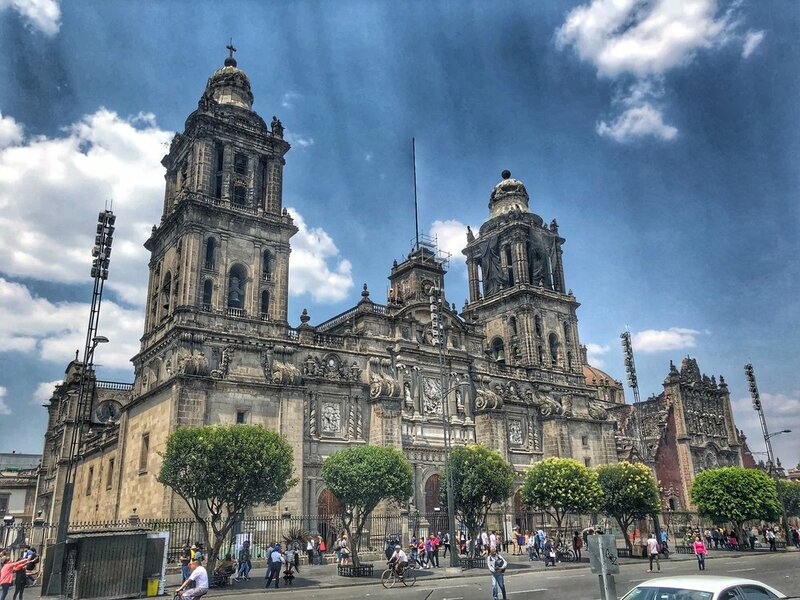 We would recommend at least 3 full days in Mexico City on your maiden voyage (let’s be real, once you come here you probably will want to come back in the future). For reference, we spent 3.5 days as a family trip with our parents. 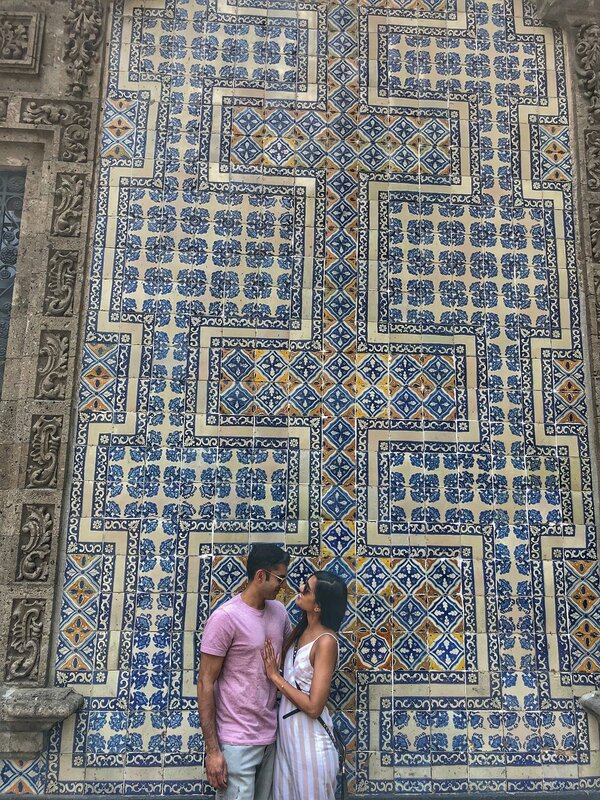 While the city can be explored in any particular order based on your interests, we will continue our Mexico City itinerary series with a day exploring the amazing pyramids of Teotihuacan in the Valley of Mexico and an evening in the tree-lined avenues of Mexico City’s stylish residential neighborhood - Condesa. We found breaking-up the city sightseeing with an expedition to Teotihuacan to be apt (this was our 2nd full-day in Mexico City). So if you are looking for the perfect day-trip from CDMX, read on to satisfy your archaeological cravings at the glorious Teotihuacan Pyramids with a nightcap in Condesa. 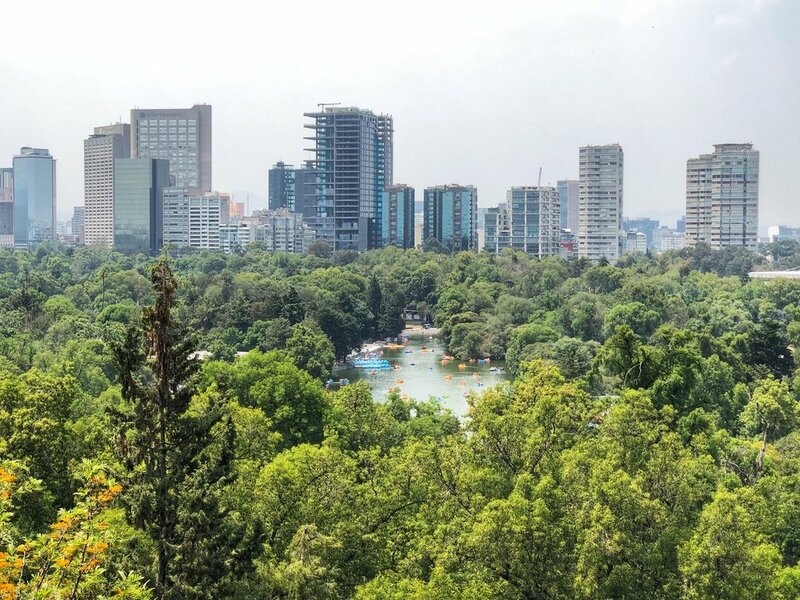 We would recommend at least 3 full days in Mexico City on your maiden voyage (let’s be real, once you come here you probably will want to come back in the future). For reference, we spent 3.5 days as a family trip with our parents. While the city can be explored in any particular order based on your interests, we will start the series with 36 Hours in Polanco, one of the swankiest and upscale neighborhoods in all of Latin America. While there are high-end boutiques, luxury hotels, and a multitude of embassies here that blend with other major world cities, it also hosts some unique items for your travel checklist: some of the world's best restaurants and museums as well as its location along the doorstep of Bosque de Chapultepec (one of the largest urban parks in the world). If you are headed to CDMX, come explore Polanco with us. There are few places in the world that allow you to experience the electrifying thrill of watching an aquatic apex predator (Great White Shark) swim within a few feet of your awestruck eyes. The most reliable cage diving sites for the Great White Shark have been listed off of the coasts of South Africa, Australia, and Isla de Guadalupe (Mexico). While South Africa has various sites to spot these predators, it is the waters off of Gansbaai that have been given the moniker of the "Great White Shark capital" of the world. One of the great advantages in going Great White Shark Cage Diving in Gansbaai is you do not need any prior scuba diving experience; no true diving is necessary to participate. You shouldn't miss the opportunity to get your adrenaline rush by going Great White Shark Cage Diving in Gansbaai; it is the perfect day-trip from Cape Town. There may be no better place to cross this off of your bucket-list because many of the shark documentaries you see on TV are actually filmed here given the high concentration of shark activity. Tucked away in Central America, Belize (the country formerly referred to as the British Honduras) is a small country the size of New Jersey and the population of Tulsa, Oklahoma with the natural beauty that can hang with any country in the world. It's small size and population belies the fact that the country sits along one of the most biodiverse regions in the world (on the coast, it hosts the 2nd largest barrier reef in the world; inland, it contains an extensive subterranean cave/river system and lush, thriving jungles); it contains a treasure trove of rich Mayan history and archaeological sites; and it beguiles its visitors with some of the most eco-conscious accommodations to relax after a day spent in adventure or exploration. If you are going to Belize and spending a few days in its jungle, we hope our recommendations help complete your trip! One of our favorite highlights in the Western Cape was a day road trip around the Cape of Good Hope, the southwestern tip of the African continent (the true southern tip is Cape Agulhas further east). For those who believe the journey is the destination itself, this is the day-trip for you. The Cape of Good Hope Drive is a tour-de-force excursion for visitors to South Africa who will be rewarded with one of the most picturesque drives in the world. Along the way, you will round the very same peninsula navigated by Portuguese explorer Bartolomeu Dias; this permanently established the first all naval route between Western Europe and South Asia/Far East. Situated just south of Cape Town, the Cape of Good Hope peninsula is filled with a treasure trove of unique flora and fauna from penguins to ostriches, gorgeous beaches, stunning seaside towns overlooking the Atlantic Ocean and False Bay populated with beach bums and millionaire mansions, and the engineering marvel that is Chapman's Peak Drive. In the post below, we will discuss some of our favorite stops (St. James Beach, Boulder's Beach, Cape of Good Hope, Hout Bay, Chapman's Peak Drive, and sunset back in Cape Town at Camp's Bay) to help create your own Cape of Good Hope Itinerary. Whether you are an oenophile or amateur grape lover, the Cape Winelands deserve their own excursion on your South African sojourn. When pairing your wine with august mountain views, gorgeous Cape Dutch architecture, and the perfect microclimates, exploring the Cape Winelands will certainly make for some treasured memories. The centuries old wine culture was born when the Dutch East India company (which founded the South African colony) invited French Huguenots fleeing religious persecution to come settle in South Africa; some of these settlers brought their knowledge of viticulture to the new colony. Today the South African wine industry has won major international awards and recognition and can easily hold its own against Old World wine behemoths. What makes the South African Cape Winelands unique is that it mixes great wines and food, true indulgence and luxury, with an affordability and humility that is not easy to find in other famous wine regions in the world. Perhaps one of its most infamous endorsements is from Napolean Bonaparte who loved and drank barrels of South African wine when exiled in St. Helena. So come grab a glass with us and explore the majestic landscapes that may have inspired "Middle Earth" in South African born J.R.R. Tolkien's literature. 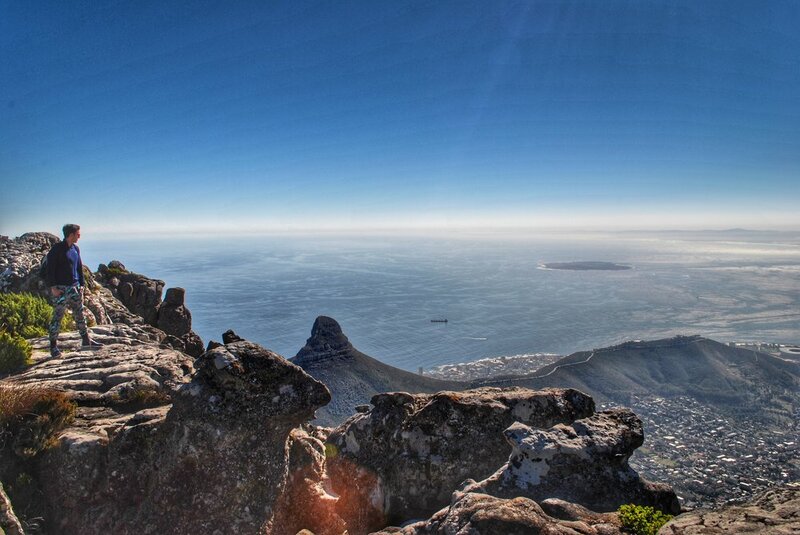 Along the southern flank of the African continent is one of the true iconic destinations in the world: South Africa. Don't let those world maps fool you, South Africa is a big country and is approximately 3x bigger than California. You will be spoiled for choice and time will be your most precious commodity. For the safari dreamers, wine lovers, beach bums, hikers, thrill-seekers, and road-trippers, South Africa has something for everyone to relish and savor. While you may not be able to do it all on one trip, in this introduction we will spotlight what really stood out to us during our painstaking research. By underscoring these items, we know you can then create a rough sketch of what you may want to do so you can make your own outline of when to go, where to explore, and how many days you may want to take. We hope this introduction whets your appetite and inspires your own search for your unique South African holiday. In upcoming posts, we will go into greater detail over many of these items including Safaris, Cape Winelands, Cape of Good Hope Drive, and Greater Cape Town Hiking/Dining/Excursions. Sitting in the middle of the Hawaiian island chain, Maui may serve as the Goldilocks example of the idyllic Hawaiian island to visit for the first-timer. It has breathtaking natural beauty, outdoor hiking/activities given its varied climes along Maui Upcountry shouldered by Haleakala, gorgeous beaches replete with marine life to dazzle your eyes while you snorkel or dive, and in the right season whale-watching. Maui lies somewhere in the middle of the spectrum between the more populated and developed Oahu and the rugged isolationism of Kauai. For most American and International visitors, Honolulu (Oahu) serves as the gateway to their Hawaiian Islands Adventure. For some, Honolulu is merely the entry and exit port before going to the North Shore (Oahu) or off to the rest of the archipelago: Maui, Kauai, Hawaii, Lanai, or Molokai. For others, Honolulu will be the epicenter of their trip or they may have a few days to explore during a conference/meeting. The bulk of our Hawaii Trip was in Maui (future itinerary), but we spent 3 nights in Honolulu and we wanted to see as much as possible in Greater Honolulu / Southern Oahu. In this mini-itinerary, we focus on maximizing your time here with some amazing food, quick hikes, great beaches and snorkeling, and breathtaking vistas! One of the quintessential experiences of traveling within the United States is to partake in an iconic road trip. Driving the Pacific Coast Highway (PCH) is one of the most picturesque drives in the world and in this itinerary we focus on the stretch between Los Angeles and San Francisco. It is a drive for the "unplugged" as you will see first-hand why the territory of "Alta California" was once the crown jewel of New Spain and why California has always remained a muse for dreamers, naturalists, and artists in American lore.